Introducing a New Look for Winterthur—Inside and Out! 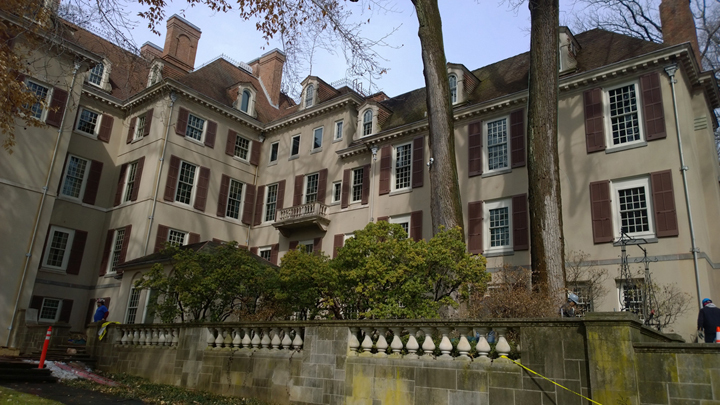 It is with great pleasure that Winterthur announces the yearlong house renovation is coming to a close! More importantly, the ground-to-roofline scaffolding and green scrim around the exterior of Henry Francis du Pont’s former home is coming down! So far, crews removed the scaffolding and scrim from the back side of the building, and beginning this week a crane will remove the custom truss scaffolding bridging the Museum Conservatory. It is hoped that all of the scaffolding will be removed by the end of March. Over the course of the yearlong renovation, 410 windows, 15 doors, and approximately 800 shutters were replaced; window frames were repaired and restored to their original color (now known as Hazy Sky); and gutters, downspouts, and chimneys were repaired in an effort to restore the iconic exterior to the architect’s original 1930s vision. During the renovation, the former gray-tinted glass was replaced with a bronze-colored glass that brings a warm, welcoming glow to the interior spaces. From an exterior perspective as well, the Plexiglas® creates a more inviting feeling. The historic window frames, or mullions, are now visible from the exterior, whereas prior to the renovation, the window panes could not be seen, making the windows appear to be black holes. While many of the renovations are hard to notice, all were imperative in continuing the preservation of Winterthur and the world-renowned collection inside. One upgrade that has made the most noticeable difference inside and out is the installation of tinted glass, or Plexiglas®, in the windows. du Pont’s goal of maintaining the atmosphere of a gentleman’s private residence. 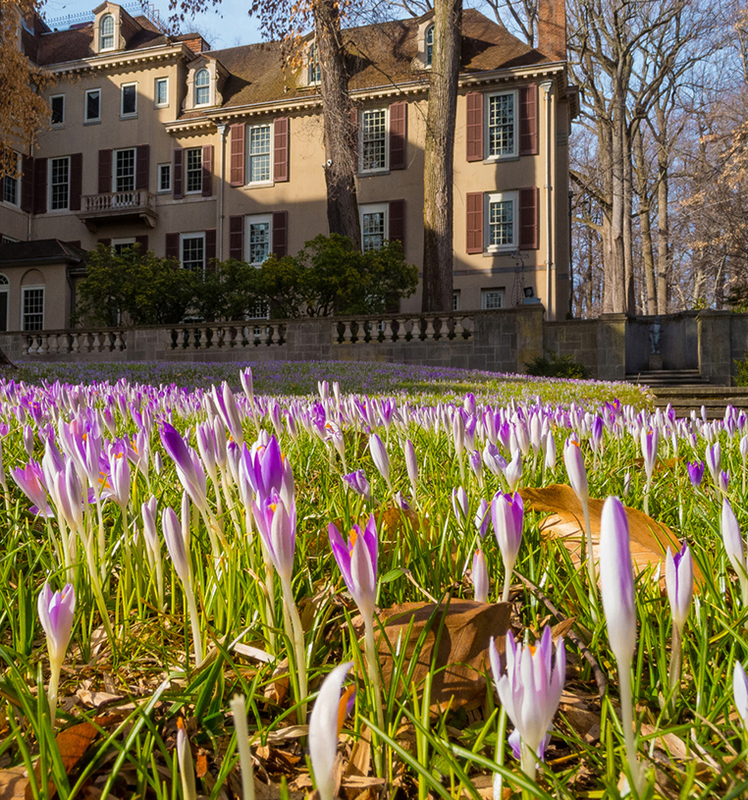 We thank you for your patience this last year and hope you take the time to explore the beauty of Winterthur—inside and out— this spring! To plan your visit, please visit winterthur.org. This entry was posted in Architecture, Behind-the-Scenes, House and tagged Henry Francis du Pont, Hilary Seitz, Plexiglass, Winterthur, Winterthur Estate, Winterthur Museum, Winterthur Museum Garden & Library, Winterthur renovation, Winterthur Restoration. Bookmark the permalink.